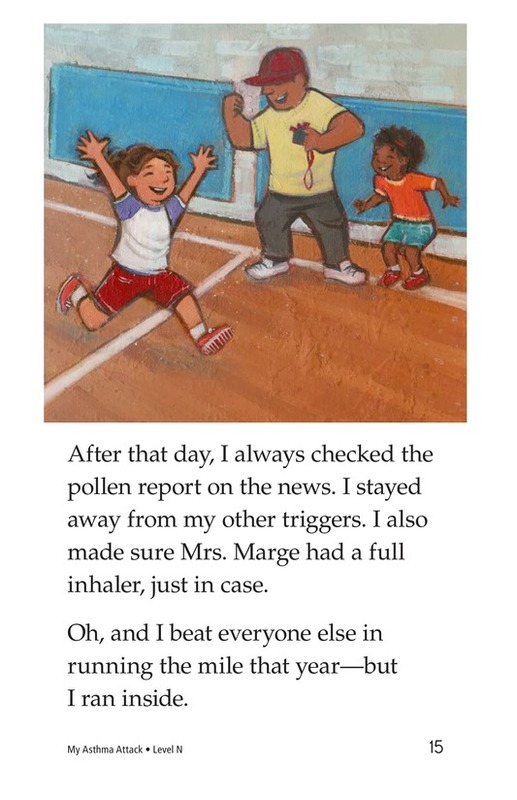 The Day I Couldn't Breathe tells the true story of one girl's asthma attack. 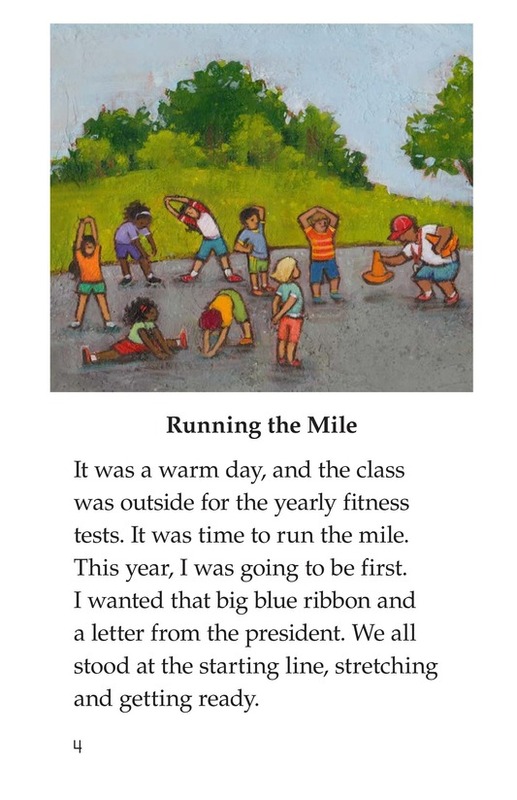 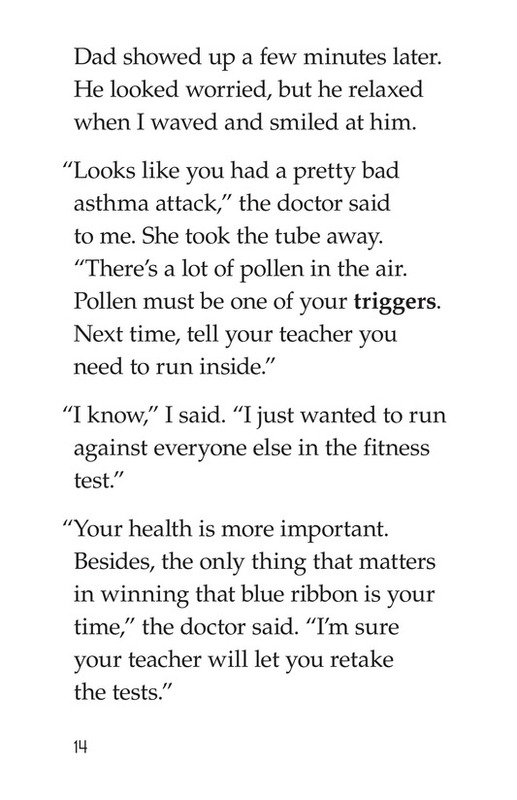 While running the mile for a physical fitness test, she feels her chest begin to tighten. 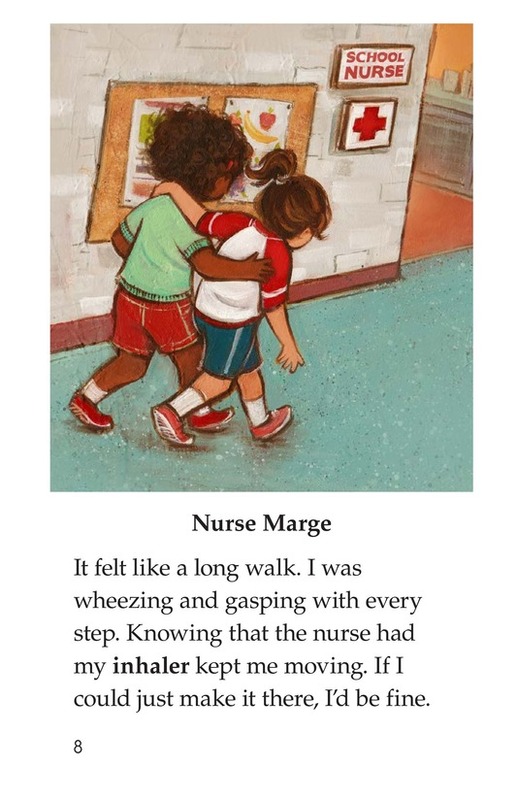 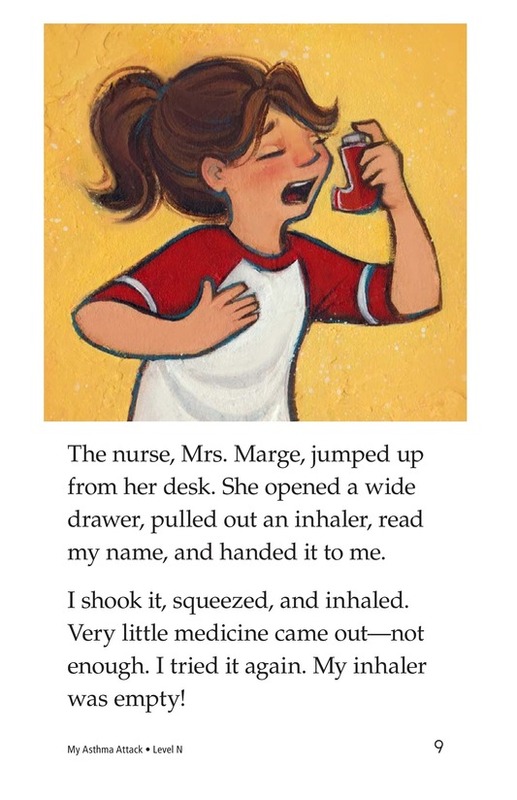 A friend helps her to the nurse's office, where they find her inhaler is empty! 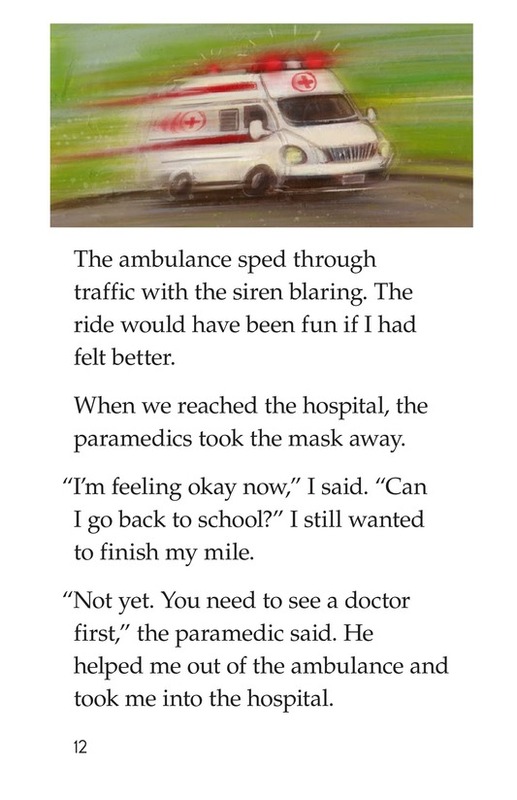 What will they do? 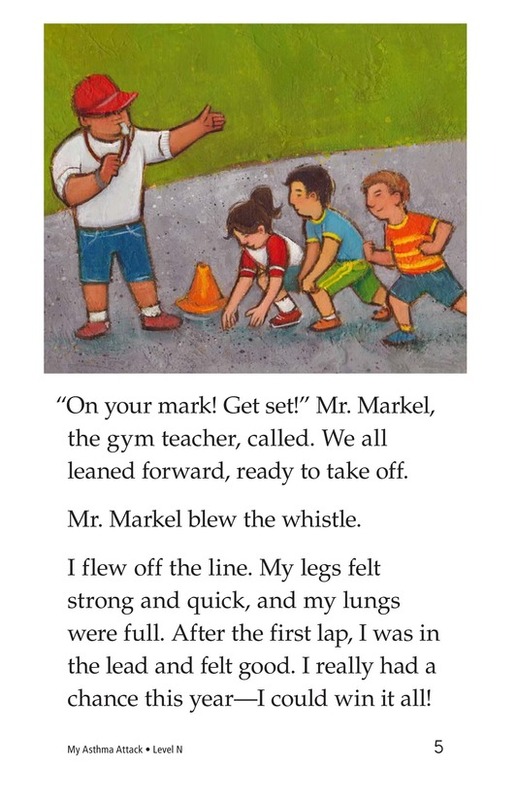 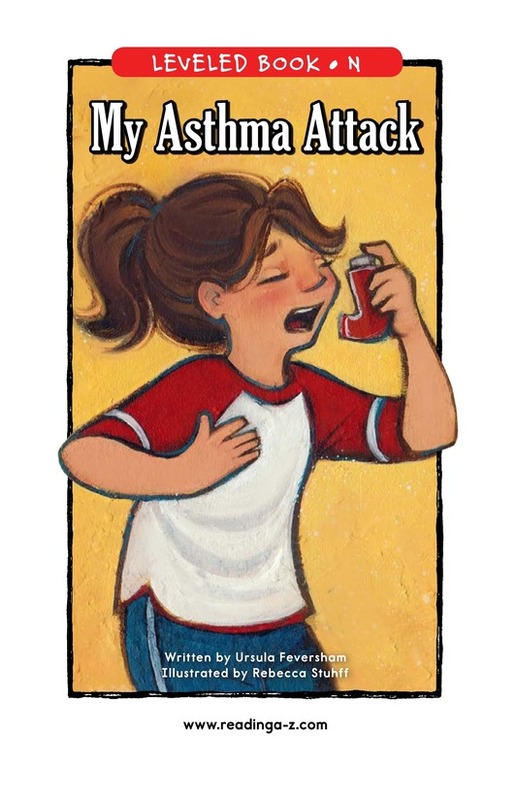 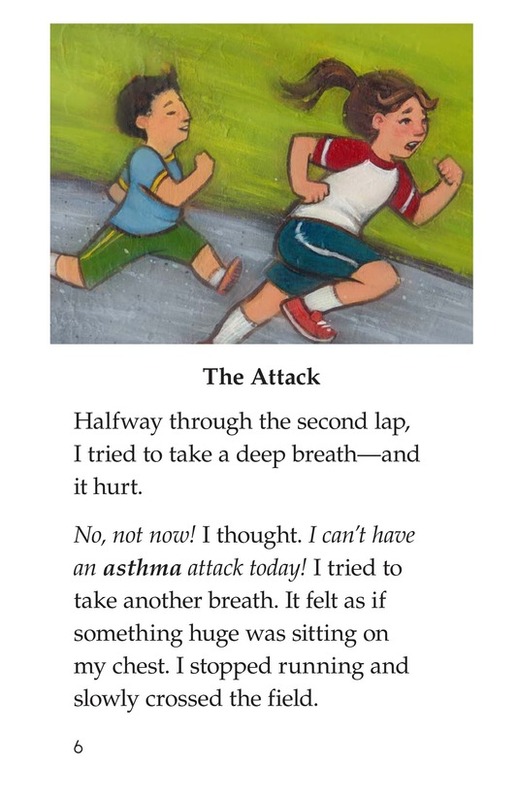 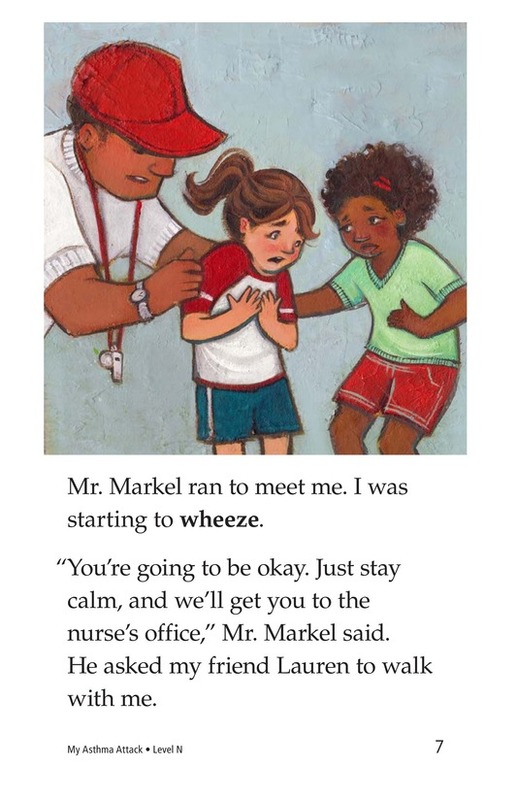 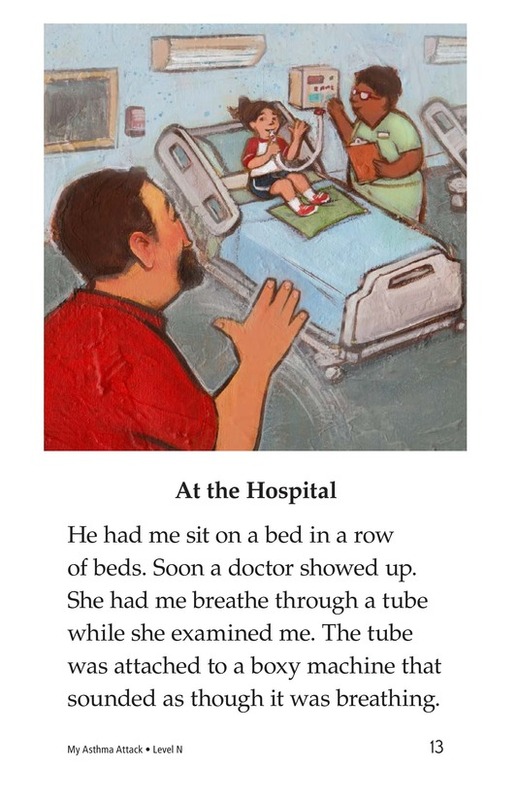 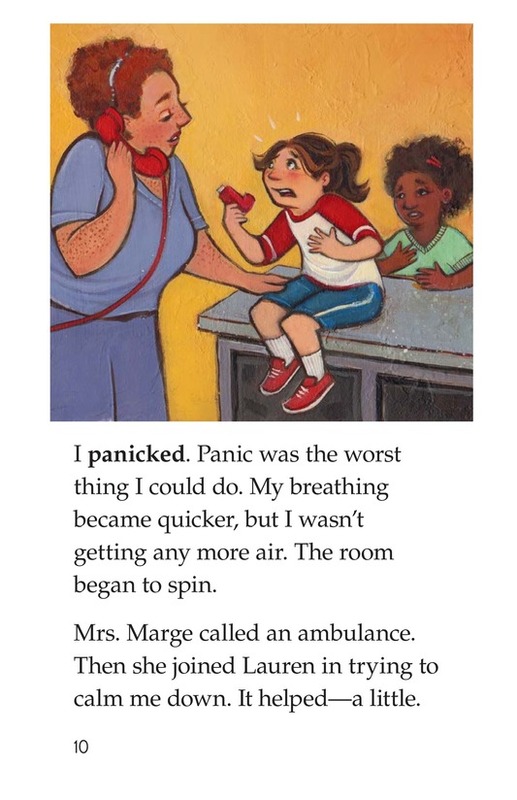 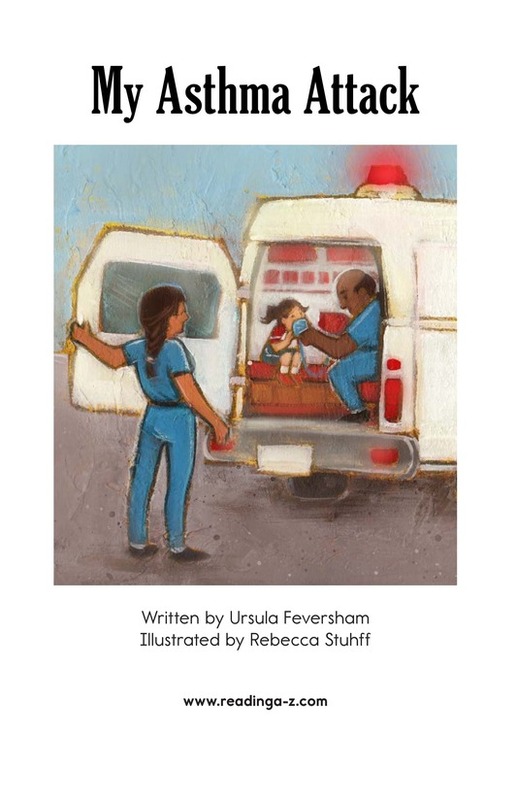 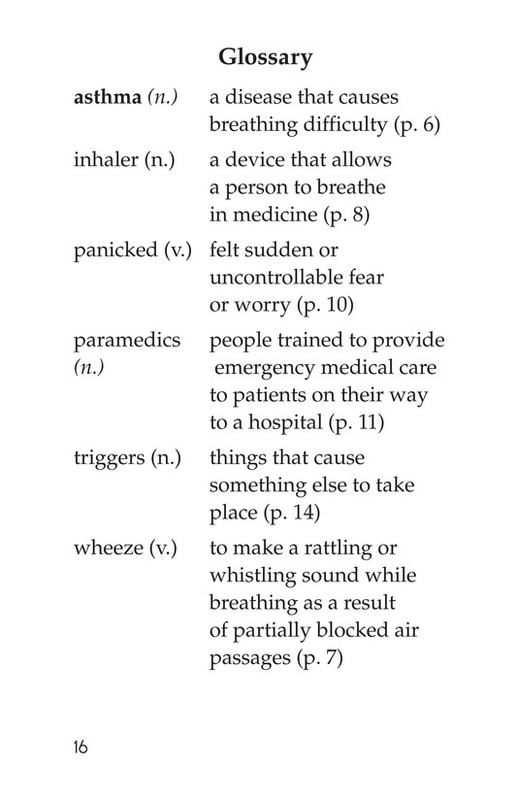 Students will enjoy this exciting book while learning about one person's experience with asthma. 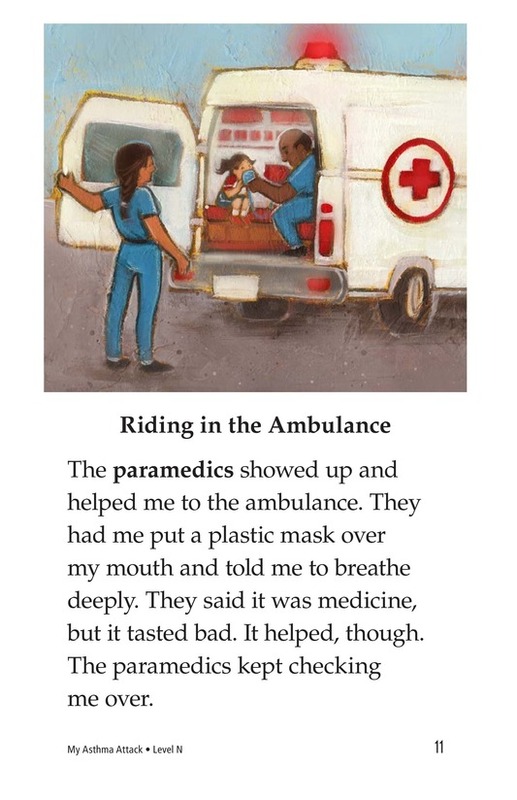 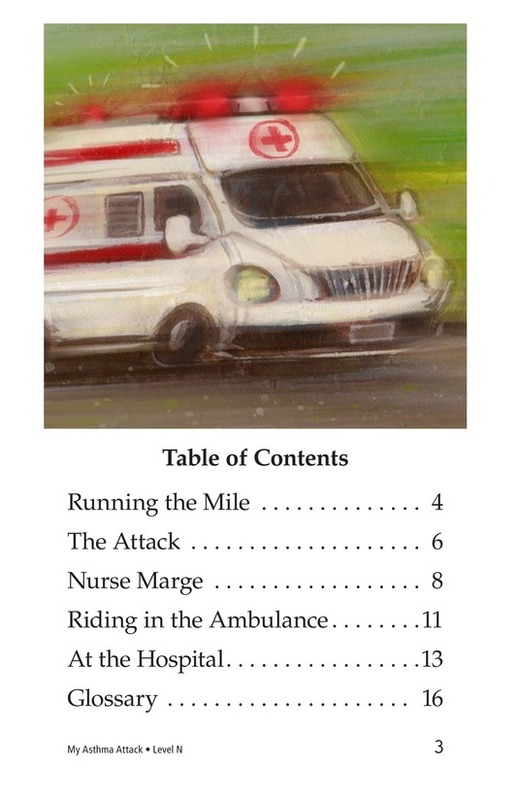 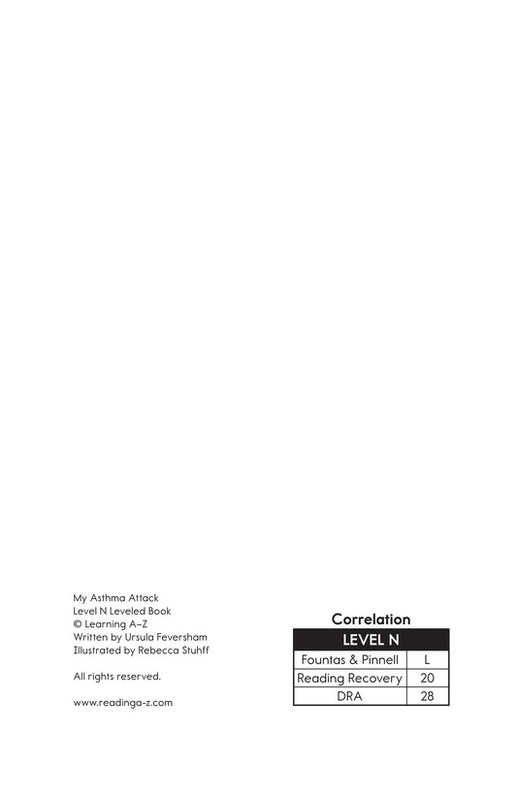 Illustrations support the text.